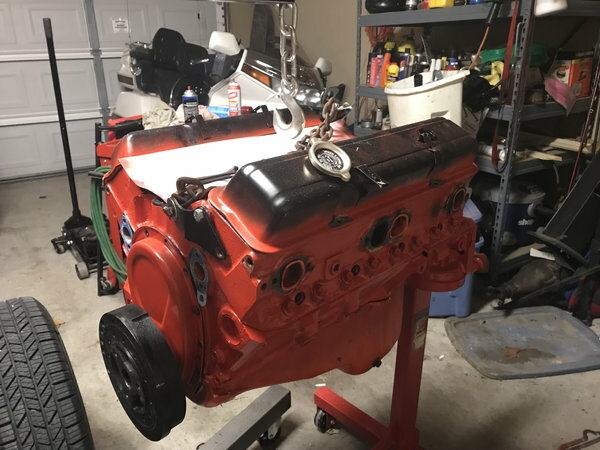 Chevy 400 long block. Has the rods, crank, .060 over Speedpro pistons, cylinder heads, oil pan and valve covers. New rings and bearings. Includes the 400 externally balanced flywheel and balancer. The block is not cracked, but has some cylinder wall damage. Can be repaired/sleeved or the parts used to build a stroker. Was running in my hot rod but used oil.